Leading Manufacturer of soybean seeds from Unjha. 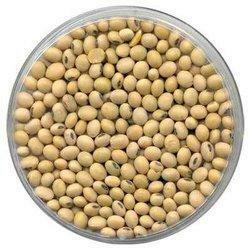 Being a well-established organization of this industry, we are offering a mouth-watering range of Soybean Seeds. The offered seeds are processed for their oil and protein for the animal feed industry. A smaller percentage is processed for human consumption and made into products including soy milk, soy flour, soy protein, tofu and many retail food products. We provide these seeds in various air packaging options as per the needs of our clients. Looking for Soybean Seeds ?